In recent times where European welfare states are undergoing serious economic and social crises and being increasingly exposed to criticism, there has been a noticeable revival of feminist interest in the issues of equality. Focusing on a signature aspect of Scandinavian welfare states, Equality Struggles explores how gender equality and women’s rights are transforming the relationship between Scandinavian states and social actors. 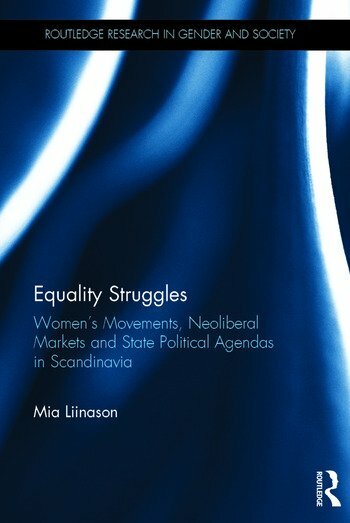 Indeed, drawing on in-depth analyses from fieldwork in Denmark, Norway and Sweden, this book examines the largest and most established women’s organizations and develops a multi-layered understanding of the entanglements between women’s movements, neoliberal markets and state political agendas in Scandinavia, as they give rise to feminist fractions and new feminist coalitions. Contributing to novel understandings of "equality struggles" within women’s organisations, this title will appeal to postgraduate students and scholars interested in fields such as Scandinavian Studies, Gender Studies, Political Science and International Relations and Social Theory. Mia Liinason is Associate Professor in Gender Studies at the University of Gothenburg, Sweden.